Come in as early as 6 weeks. If a transvaginal ultrasound is performed there is an additional $25 fee. Images are NOW text or add a USB flash drive of your images for $5 or a USB flash drive of the video and images for $20. You can print multiple pictures at home or post on social media sites. Listen to your baby’s heartbeat as we measure the heart rate. This package does not include the gender, unless you were previously seen by View A Miracle and we told you the gender. This package does not include the growth or size of the baby. This package can only be done if you have confirmed your pregnancy by ultrasound with a doctor. Find out your baby’s gender! This gender reveal package is performed by our highly experienced, registered sonographer as early ad 12 weeks! At 16 weeks, our gender reveal is 100% accurate, prior to 16 weeks 95%-99%. Images are NOW text or add a USB flash drive of your images for $5 or add a USB flash drive of the video and images for $20. You can print multiple pictures at home or post on social media sites. Unlimited color pictures of your baby text to you in 2D for you to print multiple pictures at home, or post on social media sites. Listen to your baby’s heartbeat as we measure its heart rate. We will be glad to show you the baby’s 4 chambers of the heart, kidneys, bladder, stomach, spine & more, (please just let us know). (This will depend on the size and position of the baby). Having twins? There is an extra $27.50. 10% off on return elective ultrasound visits over $100 (excluding the 2 Much 2 Love package)(same pregnancy). Must mention discount on future visits. Discounts are available Monday through Friday ONLY! Come see your little miracle in 3D/4D between 12 and 20 weeks. 5 black and white sonogram photos of your baby in 3D. These are perfect for placing in a frame or album as your baby’s first picture. Confirmation of, or find out, your baby’s gender (if desired). We will measure the baby to confirm your dates. We will be glad to show you the baby’s 4 chambers of the heart, kidneys, bladder, stomach, spine & more, (please just let us know). (This will also depend on the size and position of the baby). See your little one in 5D/HD live between 12 and 20 weeks. Clearer more life like image of your little one. USB flash drive – a movie of your live session to take home and watch over & over. This is optimum viewing of your baby from the best position he or she is in. Unlimited color pictures on your flash drive of your baby in 2D, 3D and 5D for you to print multiple pictures at home, or post on social media sites. 6 black and white sonogram photos of your baby in 3D. These are perfect for placing in a frame or album as your baby’s first picture. 2 (two) 3.5″ x 4″ color photos. Having twins? There is no extra fee for this package. 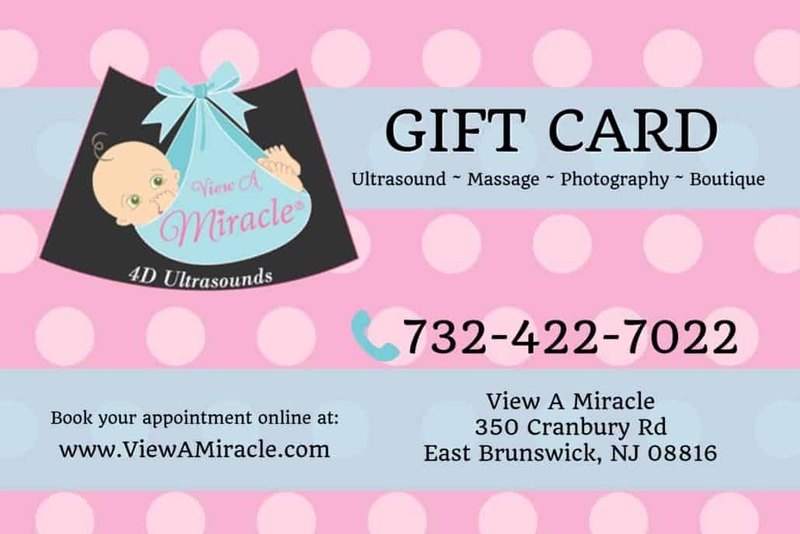 20% off on return elective ultrasound visits over $100 (excluding the 2 Much 2 Love package)(same pregnancy). Must mention discount on future visits. Discounts are available Monday through Friday ONLY! Unlimited color pictures of your baby in 3D for you to print multiple pictures at home, or post on social media site. Images are NOW text or add a USB flash drive of your images for $5. You can also add a USB flash drive of the video and images are $20. 6 (six) black and white sonogram photos of your baby in 3D. These are perfect for framing as baby’s first picture. Images and video are NOW available on a USB flash drive for you to share with your family and friends. Unlimited color pictures of your baby in 3D for you to print multiple pictures at home, or post on social media sites. 8 (eight) black and white sonogram photos of your baby in 3D. These are perfect for placing in a frame or album as your baby’s first picture. 4 (four) 3.5″ x 4″ 3D color photos. We will measure the baby from 20 weeks to 40 weeks to let you know the weight. 25% off on return elective ultrasound visits over $100 (excluding the 2 Much 2 Love package)(same pregnancy). Must mention discount on future visits. Discounts are available Monday through Friday ONLY! Watch your little miracle in 3D, 4D and NOW 5D/HD Live – Clearer more life like image of your little one. Unlimited color pictures of your baby text to you in 2D, 3D and 5D for you to print multiple pictures at home, or post on social media sites. 10 (ten) black and white sonogram photos of your baby in 3D. These are perfect for placing in a frame or album as your baby’s first picture. 8 (eight) 3.5″ x 4″ 3D and/or 5D color photos. We will be happy to show you the baby’s 4 chambers of the heart, kidneys, bladder, stomach, spine & more, please let us know. (This will also depend on the size and position of the baby). 30% off on return elective ultrasound visits over $100 (excluding the 2 Much 2 Love package)(same pregnancy). Must mention discount on future visits. Discounts available Monday through Friday ONLY! Come see the Miracle of Life growing inside throughout the entire pregnancy. Experience the most memorable time of your pregnancy and chart the growth of your unborn child through the use of ultrasound technology. Schedule monthly appointments (as early as 6 weeks) to see your baby up until your due date. This package is most popular with first-time parents, infertility parents and has often been given as a gift. After 12 weeks, each visit will include 3D, 4D and 5D (depending on the position and size of the baby). Unlimited color pictures on a USB flash drive of your baby in 3D and/or 5D for you to print multiple pictures at home, or post on social media sites are NOW text to you. 6 (six) black and white sonogram photos of your baby in 3D and/or 5D(after 12 weeks). These are perfect for placing in a frame or album. 2 (two) black and white 2D sonogram photos (up to 12 weeks). 4(four) 3.5″ x 4″ 3D or 5D color photos after 12 weeks. Confirmation of, or find out, your baby’s gender as early as 12 weeks (if desired). Explanation of how your little one is evolving inside the womb while we take measurements of the baby. Watch as we show you the baby’s 4 chambers of the heart, kidneys, bladder, stomach, spine & more. (This will depend on the size, depth and position of the baby). Having twins? Twice the fun! There is no extra fee for this package. Your choice of large heartbeat stuffed animal. We record your baby’s heartbeat and place it inside of an adorable stuffed animal as a keepsake for you or a loved one. We have a huge selection for you to choose from. 10% Maternity or Newborn photo shoot. 15% off any one boutique item in store. 4 (four) 3.5″ x 4″ high quality color photos of your baby’s face printed for you $10. Notes: To have the Best experience we recommend you come during the weekdays. We do offer evening and weekend hours. Payment in full at time of first visit. This package was designed specifically with in vitro fertilization (IVF) patients in mind. Often, our clients that come to us have been through so many trials and heartache to get to this glorious stage- pregnancy. We have seen thousands of families with this commonality that they just want to be able to check on the well being of their unborn baby as frequent as they desire. It brings such peace of mind to come in for an additional ultrasound that same day you may be experiencing anxiety. Come in as early as 6 weeks to confirm the babies heart beat and to find out how many weeks pregnant you are. 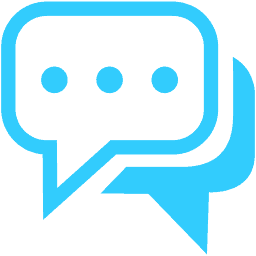 Images are NOW text. You can print multiple pictures at home or post on social media sites. See the babies heart beat, if you are more than 6 weeks 2 days. If you have NOT had an ultrasound to confirm your pregnancy, this is the perfect package for you! 10% off on return elective ultrasound visits over $100 (excluding the 2 Much 2 Love package)(same pregnancy). Must mention discount on future visits. Consider doing our 9 Month Miraculous Journey – It will be well worth it! You can now rent our private party room/court yard for your reveal (up to 30 guest) for 1 hour. 2D ultrasound performed to find out the gender as early as 12 weeks and IF the baby is in a good position you will catch a glimpse of your little one in 3D, 4D and maybe even 5D! Your choice of a reveal item (up to $30) to be done on-site after your ultrasound session. Any gender reveal item $30 or less that we carry in our gender reveal boutique. Can apply the $30 towards a greater value item. Includes USB flash drive of video and images, 4 B&W photos, small heart beat animal. *This is a one hour event * Must call our office at (732) 422-7022 to book this event package* Outside food/drink is not permitted. You can now rent our private party room/court yard for your reveal (up to 30 guest) for 2 hours. Find out the baby’s gender! This gender reveal package is performed by our highly experienced sonographers as early as 12 weeks! See your little miracle in 2D ultrasound to find out the gender and IF the baby is in a good position you will catch a glimpse of your little one in 3D, 4D and maybe even 5D!D, 3D, 4D and possible 5D (depends on position). Unlimited images of your baby for you to print multiple pictures at home, or post on social media sites. Images and video are NOW available on a jump drive for you to share with your family and friends. 5 black and white sonogram photos of your baby. 2 color images of your little one. These are perfect for placing in a frame or album as your baby’s first picture. Your choice of small ($24.95) stuffed animal with baby’s heartbeat recording inside. Watch as we show you the baby’s 4 chambers of the heart, kidneys, bladder, stomach, spine & more. (This will depend on the size, position and the depth of the baby). 25% off on return elective ultrasound visits over $100 (excluding the 2 Much 2 Love package)(same pregnancy). Must mention discount on future visits. Discounts available Monday through Friday ONLY! The first Thursday of every month you can now come in to get a (one) 3.5 x 5 color picture of your Little Miracle in 3D for only $50. This does not include the 4D or 5D (available for an additional fee). If the baby is not in a good position we will make every effort to get the baby to move. Hear the baby’s heart beat. This does not include the gender, growth or anatomy of the baby. Please note this a quick glimpse of your little one. We are only trying to get you a picture as a keepsake. There are no rescans or refunds on this package. Space is first come first serve. There is a $40 no show fee if a 12 hour notice is not given. 8 (eight) 3.5″ x 4″ 3D or 5D color photos. If you need to reschedule or cancel your appointment, please call us at (732) 422-7022, 12 hours in advance and your credit card will NOT be charged. If you do not show for your appointment, your card will be charged a $40 no show fee.